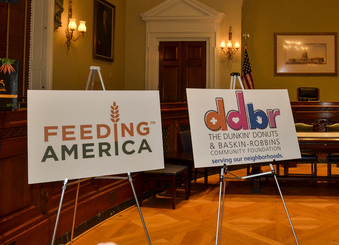 We are excited to share that earlier this week our Dunkin' Donuts & Baskin-Robbins Community Foundation (DDBRCF) announced a $1,000,000, three-year partnership with Feeding America® to help support critical hunger initiatives nationwide. The grant will help the 5.7 million Americans who receive assistance from Feeding America every week. The DDBRCF grant, the largest donation in the Foundation's history, will be distributed among Feeding America member food banks across the United States to support programs such as the BackPack Program, which provides hungry children with nutritious and easy-to-prepare food to take home on weekends and school vacations – times when other resources are not always available. Additional programs supported by the grant will include the School Pantry Program, which provides food to children and their families to take home from school. 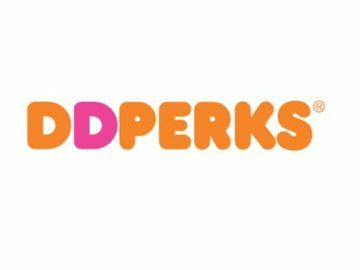 This exciting partnership and grant was announced during an event on Capitol Hill in Washington, D.C., and included select members of Congress and representatives from Feeding America and The DDBRCF, as well as leadership, franchisees and executives from Dunkin' Brands. 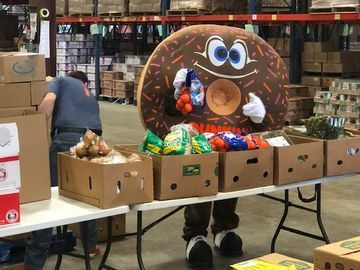 Through this most recent grant to Feeding America, The Foundation is continuing its mission to support hunger, children’s health and safety initiatives in our neighborhoods nationwide. 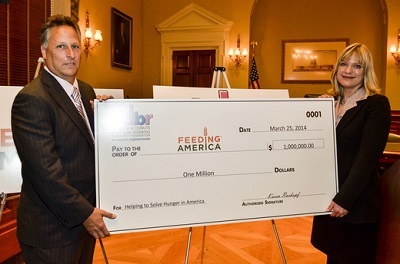 The DDBRCF has partnered with Feeding America to fight hunger since 2007, and has donated more than $1,000,000 over the last seven years to support Feeding America and its local food banks. Additionally, over the past seven years, the DDBRCF has addressed the issue of hunger relief through both national and local efforts. 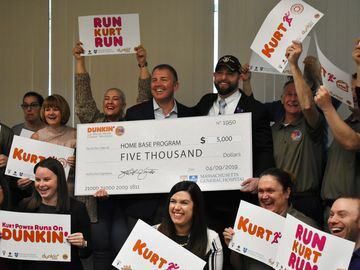 Dunkin’ Donuts and Baskin-Robbins franchisees have led food drives in the communities they serve and have organized volunteer days at their local food banks to help fill backpacks with nutritious meals for children.